Many of my hotel stays are booked on points or a combination of points and cash. And I belong to just about every hotel award program that there is. It is easy enough to keep up with my points with Award Wallet which tracks loyalty program balances. But it’s not always so easy to immediately know how many points are needed for which hotel without going to each site and working my way through the booking process. Over time, yes, you do have a fairly good idea of what a hotel’s category might be, but having a way to compare hotels simplifies that process. In the travel world, we are all looking for the next latest and greatest tool to help us achieve our travel goals. Enter the muchopoints hotel search and booking engine. muchopoints was developed by two friends who work in the consulting business, but who also happen to be miles and points junkies. They saw a need for a platform to maximaize end user value programs. 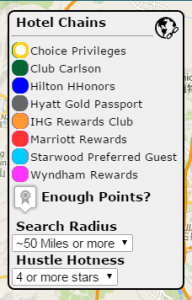 muchopoints.com allows the user to compare multiple chains and the comparable reward rates or hotel costs side by side at the time of an initial hotel search. The program also allows you to sort the amount of points needed from greatest to least or least to greatest. Another interesting feature of muchopoints is the algorithm used to determine how many points you will earn for a paid stay. Those earned points are also translated into how those points will earn you a free night at that hotel. For instance, in the Snippet below you will see that if I were to stay at the Intercontinental Beijing Beichen the cost for each night would be 1411 CNY or $226.61 per night. With no status at the hotel, I would have an earning rate of approximately 9060 IHG points which in turn would be just about half the way towards a free stay at an Intercontinental hotel in the United States. A loyalty status added to the user profile provides additional information to the ‘muchoscore’ algorithm to further optimize the best hotel selection based on the specific user characteristics. Depending on the loyalty status for each hotel reward program the amount of points added to your account will be different. If an end user has a more senior loyalty status in a specific hotel program, it provides muchoscore more accurate information that can affect the final score calculation of points to be earned. I found the muchopoints website incredibly easy to use and can definitely see a need for this type of search platform. It is relatively easy to use and provides an immediate comparison of hotel reward stays. 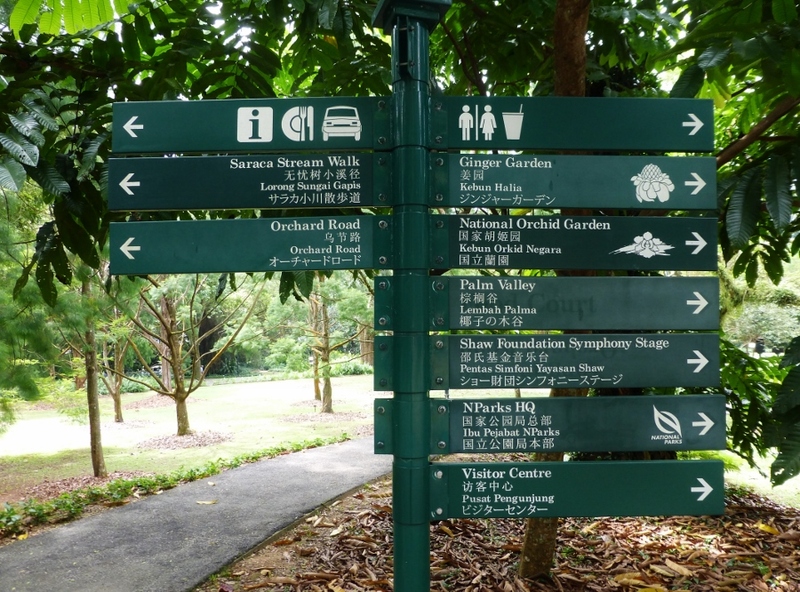 In addition to the points required, the program also shows you the distance of the hotel from the center of the city in which you are searching. One drawback at this time is that the program does not include the Hyatt or Club Carlson programs. According to the developer, they are working on adding Hyatt and Choice Hotels and should have them included within the next two months. 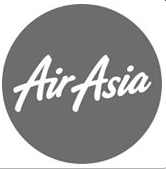 At this point in time the program includes Accor, Best Western, Hilton, IHG, Marriott, and SPG hotels. I also use Wandering Aramean’s Hotel Hustle tool which has many of the same features as muchopoints. With the Hotel Hustle tool, however, you have the ability to sync your Award Wallet, Tripit, or Traxo account. 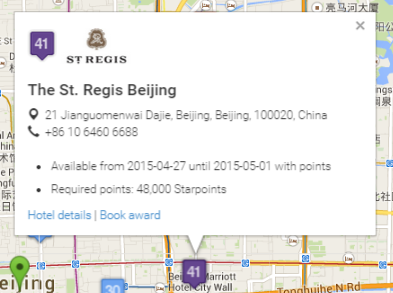 This allows you to see if you have enough points to be able to book an award stay. The program allows you to see both revenue and award availability. 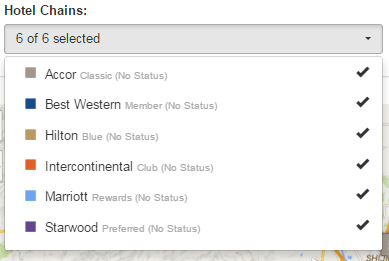 Hotel Hustle includes the ability to search for Club Carlson, Hilton, IHG, Marriott, Hyatt, SPG, and Wyndam hotels. Hotel Hustle also displays results for live inventory and allows you to set an alert should the inventory become available. The system will continue to check and send you an email if the room opens up for redemption. Although the program doesn’t show the distance from City Center, it does allow you to filter your search results by distance. Seth explains his Hotel Hustle tool in this post with and shres the updates to the tool here. What about you? Have you used one of these sites before?